This is my go-to at work menu. 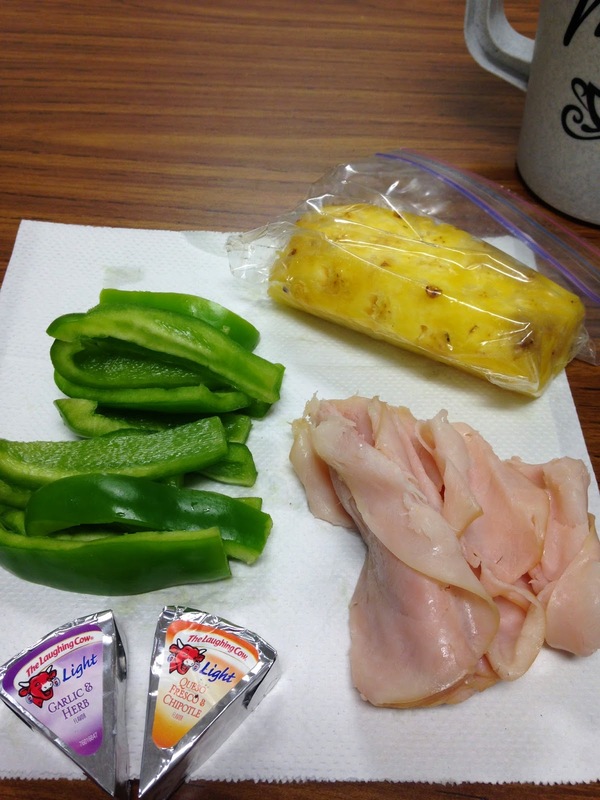 A sliced green bell pepper, wrapped with turkey. I recently added the Laughing Cow cheese- by spreading it on the pepper slice before wrapping. I also had fresh pineapple here, which I love! This was a little high in calories, so I need to tweak. 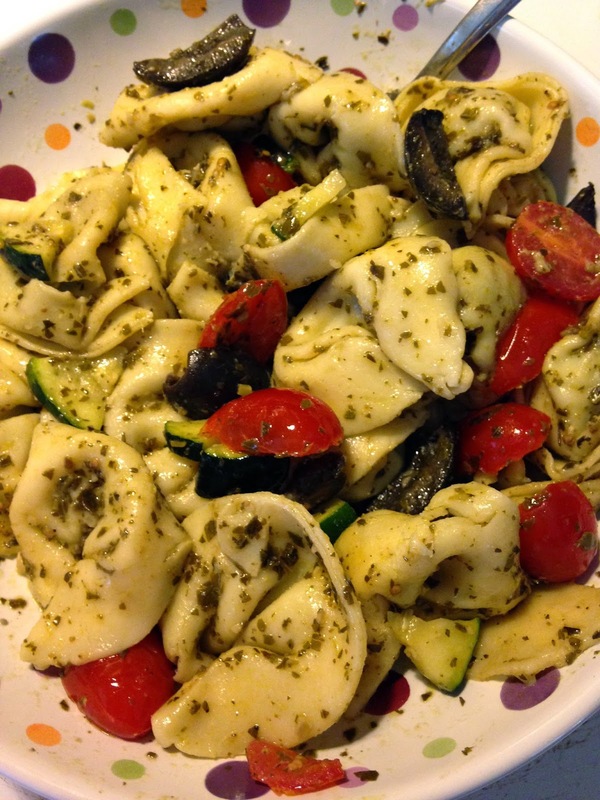 I used Buitoni pasta and added grape tomatoes, black olives, zucchini, and pesto. Stuffed zucchini- cut a large zucchini in half the long way and remove seeds. Bake at 350* till semi tender- differs depending on size, but probably somewhere around 30-45min I think. Put in toppings and bake for another 15-20min or so. This one had pizza sauce, sliced deli turkey and topped with shredded cheese. I'm seriously obsessed with Zughetti!! 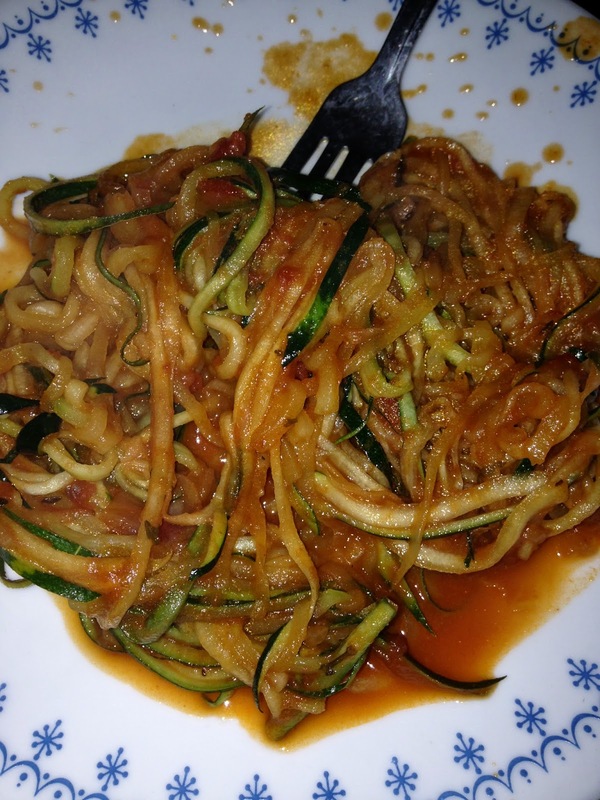 I bought the Veggetti and also use the julienne slicer and turn a lot of the zucchini we have been receiving into zughetti- add some spaghetti sauce and it is awesome! This was a quick lunch the other day- just sliced up the zucchini and threw it in a pan with sauce- heated up for about 10min - Voila!! This was yesterdays lunch- seriously good!! Whole wheat thin bun with spaghetti sauce (my marinara), 0.5 oz fresh mozzarella, 1/4 C. feta, and green peppers thinly sliced. I baked them at 400* till it started to brown. Ah man, that looks good! I like little pizzas on english muffins. I haven't used my zucchini spiraler yet, but I hope to soon! Wow, you make healthy look delicious!